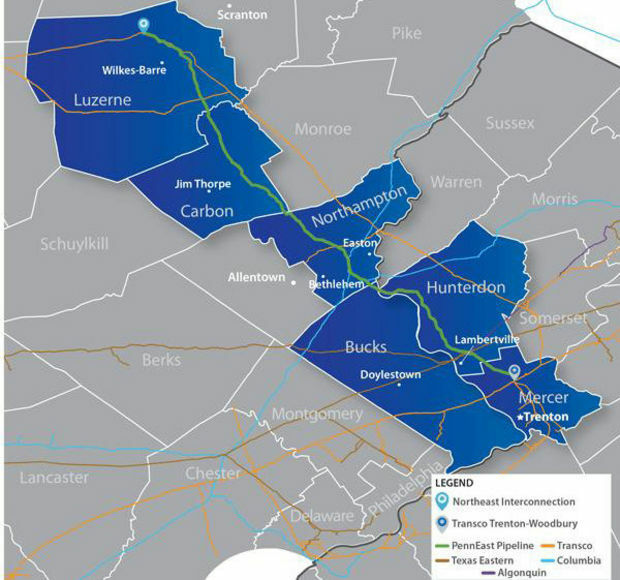 The proposed PennEast Pipeline will cut from Luzerne County, Pennsylvania, to Mercer County, New Jersey with intents to transport natural gas from Pennsylvania's Marcellus Shale region. It will affect several communities and every citizen who lives in them. A growing coalition of Townships opposing the proposed PennEast Pipeline will be collected here. Click the links to open their documents.